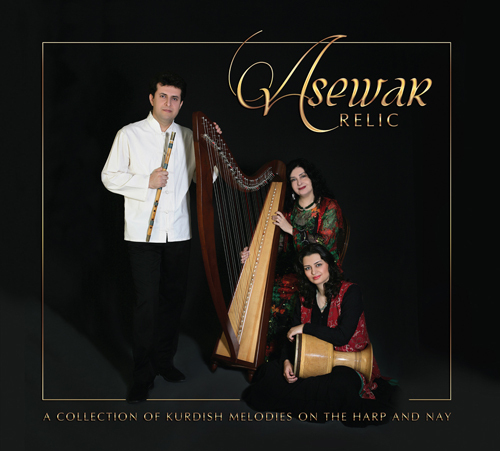 Asewar is an album from self-taught Kurdish musician Tara Jaff. 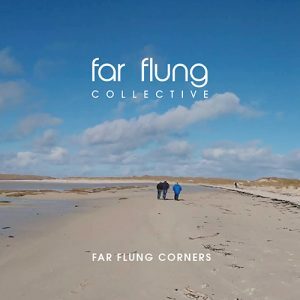 Over the years, Tara experimented with different string instruments but her fascination for ancient Iranian Chang and the harps of Mesopotamia, led her to the contemporary Celtic harp. Embracing this instrument, she introduced it to Kurdish music, developing her own unique style of playing. 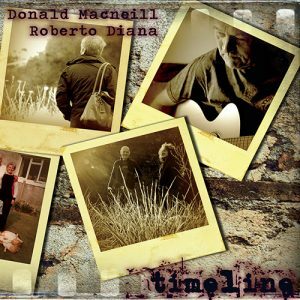 “The idea of recording this album came about when I was invited to give a talk and a recital on my harp playing techniques in Tehran, Iran, in the summer of 2011. The Chang (the harp in Kurdish and Persian) and the Nay (the reed-flute) have had a presence in Kurdish and Persian music for centuries, and first came to prominence during the Sassanid empire (224 AD – 651 AD) in the palace courts. However, while the ancient Chang ceased to exist approximately after the 17th century, the Nay is still a very popular instrument in classical Iranian music. 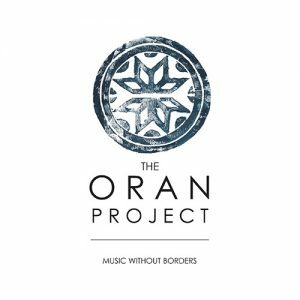 Both these instruments have often been mentioned by the mystic Sufi poets of the region in the earlier centuries and it is in this spirit, that we decided to record this album.” Tara Jaff. 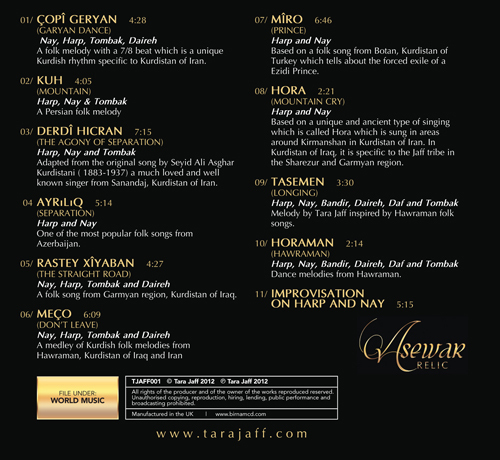 On the album, Tara is joined by Fardin Lahourpour on Nay and percussion, and Somayeh Abbassi on the tombak.